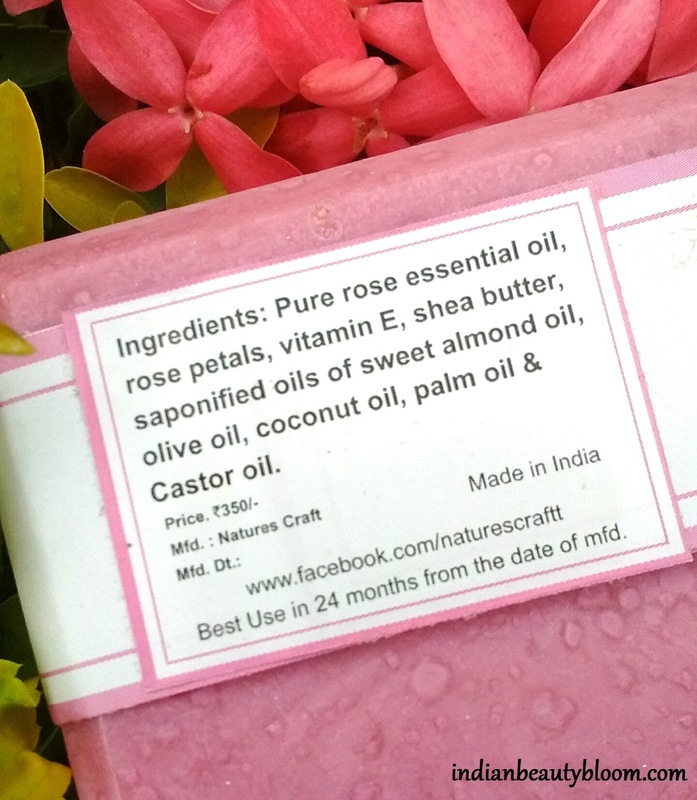 Natures Craft Rose & Rose Petals Body Soap . One can check review of Lip Balm . This Rose & Rose Petals soap is a herbal soap with all natural ingredients. Product Packaging is quite simple , the soap comes in a simple plastic wrap with all product details given on paper . The soap is fragrance free , it’s free of any artificial fragrance . 1. A natural and herbal product . 2. Free of harmful chemicals like parabens , Pthalates , SLS etc. 3. Free of artificial fragrance. 4. Excellent ingredient list with goodness of many good oils , Vitamin E , rose petals , all of which are good for skin. 6. Does not makes skin dry like ordinary soaps , keep skin moisturized for a good period of time. I am using this soap past one week . It’s a good product and I like such natural products which are chemical free and gentle on skin . 1. Would appreciate if packaging can be made little fancy as this packaging is too simple . 2. 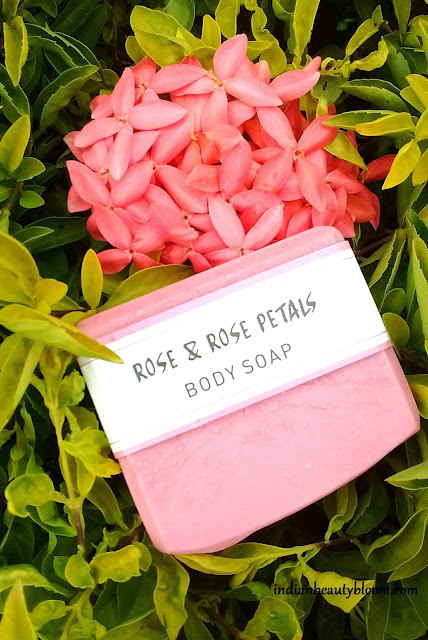 Would appreciate if it could be made to smell like rose since it’s a rose petal soap . Would recommend this soap to all and specially one who like to use chemical free soaps like me . One can buy this soap and other Natures Craft products from Amazon. One can check their facebook or Instagram page for more details . Hope You all liked this review and found it useful .